The news that Eminem was entering rehab to get help for his heroin addiction spread like wildfire across social media websites such as Twitter this past week. Fans were upset to hear that not only had their hero relapsed but that he had also decided to leave the music business behind him for good to focus on his sobriety. The only problem was that none of this was true. The story first appeared on a website called Huzlers that is well-known for generating fake claims (it’s not meant to be taken seriously), but somehow it ended up being picked up as a true story; there were even fake twitter updates claiming to be from Eminem’s manager saying the star was retiring. Eminem (real name Marshall Bruce Mathers III) is one of the most successful rappers of all time, and he has won acclaim as a producer and actor as well. He has managed to pick up 13 Grammy awards and has sold millions of records. Eminem is famous for being a bit of a ‘bad boy’, and it appears that this image is not just something he created for when he is on stage. He has been in trouble with the police on a number of occasions, including accusations of threatening people with a gun. 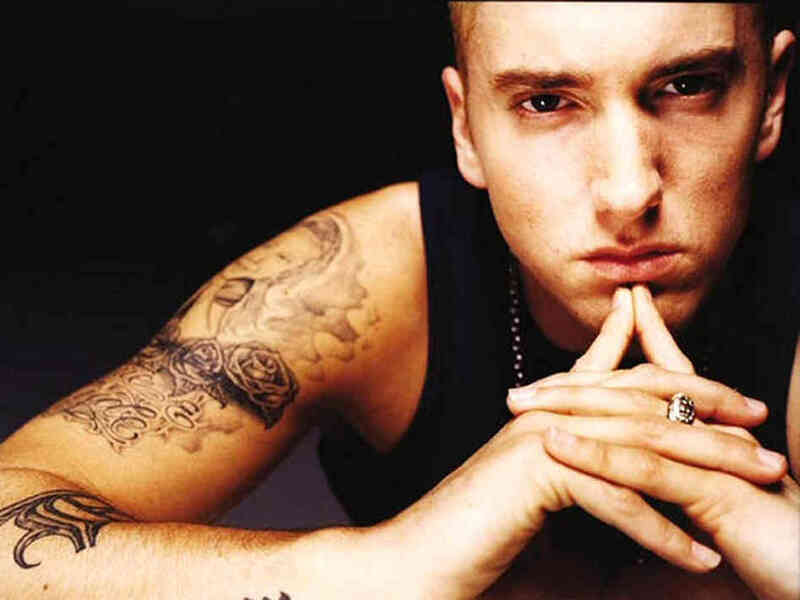 Eminem has been quite open about his alcohol and drug problems – the topic has been covered in many of his songs. During the early years of his career, he drank heavily and used drugs but apparently decided to clean up his act in 2002. The problem was that he replaced it with prescription drugs. During the filming of 18 Mile, Eminem started suffering from insomnia. He began taking a cocktail of sedatives to help him sleep at night and soon became dependent on them. He also started to put on a lot of weight. Eminem’s drug problems worsened in 2007 when he overdosed on methadone. He was rushed to hospital, an apparently having the equivalent of four bags of heroin in his system – if there had been any delay getting him to hospital then it is almost certain that he would have died that night. He continued to abuse drugs even after this but was eventually able to quit with the help of a rehab therapist. Elton John (who has been in recovery for years) took a real interest in Eminem’s recovery, so they chatted on a regular basis. Despite the nasty rumours that have been circulating this week, there is no evidence that Eminem has returned to addiction. He gave up alcohol or drugs in April 2008 and has managed to stay clean ever since. There is also no evidence that Eminem is planning to retire from music; he has managed to produce some of his best music in the years since breaking away from substance abuse. Eminem is a controversial character that has been accused of using homophobic lyrics and glamorising violence. He is no saint, but he is a good example of how people can live a good life following addiction. It is unfortunate that the media does not seem to show much interest in his strong sobriety; as soon as there is even a small rumour that he may have relapsed, there is a feeding frenzy. We hope that Eminem will have been able to view this latest bit of hysteria with humour, but it is unfortunate that these rumours are able to get so much attention.